I have a confession to make… I’m really bad about asking for help. I’ll soon be hitting two years since this entire thing began, and I’ve financed it almost entirely from my savings. Make no mistake, I never thought of this as a money-making venture – I already had a lifetime of those as an entrepreneur in software development. And frankly, there’s much more money putting people onto a product or medication than taking them off. Rather, it was this series of discoveries that drove me forward. Were I not finding these patterns in the data, I’d have long abandoned this work. And were it not for the many like myself who felt shell shocked on getting their cholesterol numbers, I wouldn’t have felt so compelled to write and illustrate the Simple Series to educate and relieve some of the fear. In short, I found discovering the science and helping people to be worth every hour and penny spent! But alas, I was eventually going to need help, which is where I’m at now. I don’t just create content, I also run experiments where strips, tubes, and labs can all add up. And while placing the “Donate” button has helped without my promoting of it directly, I know now that I need to be more proactive about reaching out to the community. 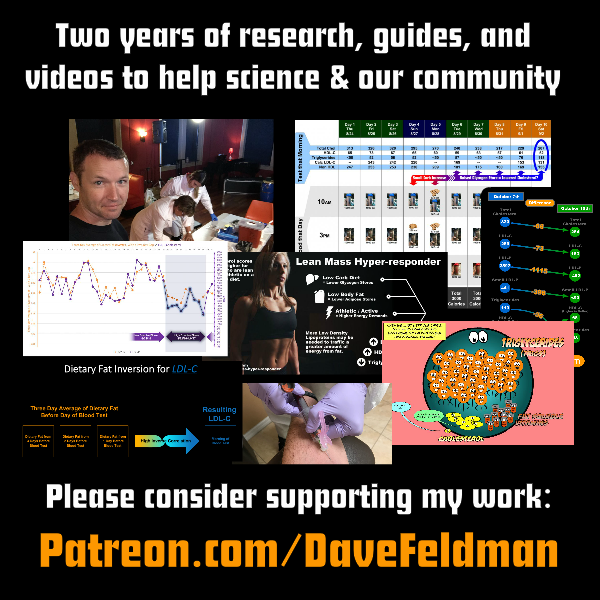 So if you feel this work has helped you and others, please consider visiting my Patreon and joining. 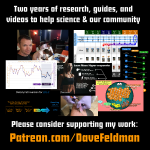 There will be a lot of exclusives patrons get, such as previews and behind the scenes Vlogs on my experiments as they happen. And if successful enough, there will be new places I can take this, such as producing a full motion cartoon of the Simple Series comic. Mainly, I hope – like me – you’ll be motivated by what we can bring to the community with this work. Thank you for your consideration!